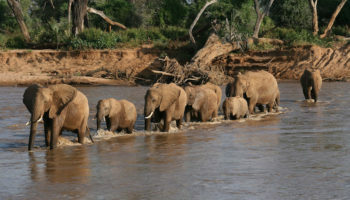 Famous for its classic savanna safaris, Kenya is a country of dramatic extremes and classic contrasts. Deserts and alpine snows; forests and open plains; the metropolis of Nairobi and colorful tribal cultures; freshwater lakes and coral reefs. For many people, Kenya is East Africa in microcosm. 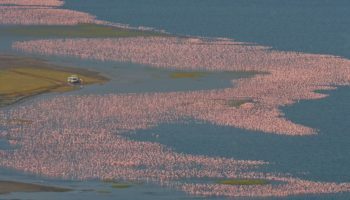 Wildlife is abundant everywhere, from the country’s coral reef shores and dense tropical forests to the wide expanses of Kenya’s grassy savannahs and highest mountain peaks. Even the capital of Nairobi has a national park filled with game animals within its boundaries. It’s no wonder that safari tourism is the mainstay of Kenya’s economy. 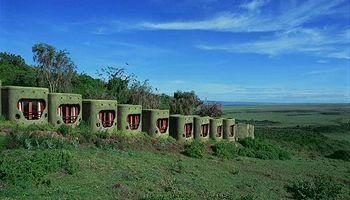 Despite a poorly developed infrastructure, Kenya remains one of the best places in the world to embark upon an unforgettable safari. For a country around the size of Texas, Kenya’s natural attractions seem almost more than one nation can contain. The Great Rift Valley runs through the entire length of Kenya to its southern border with Tanzania. Kenya’s largest body of water, Lake Turkana, stretches into Ethiopia to the north. 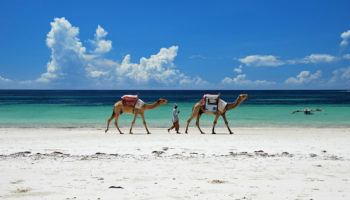 The deserts of Somalia spill over Kenya’s northeastern borders. Kenya even shares the shores of Lake Victoria with its eastern neighbor Uganda. The wide array of ecosystems allows visitors to take their pick of safari adventures, whether it’s a weekend stay in a luxury camp resort in Amboseli or a roaming adventure in an all-terrain vehicle through Masai Mara that ends in a different destination each day.